Here’s the latest Cat Festival news! 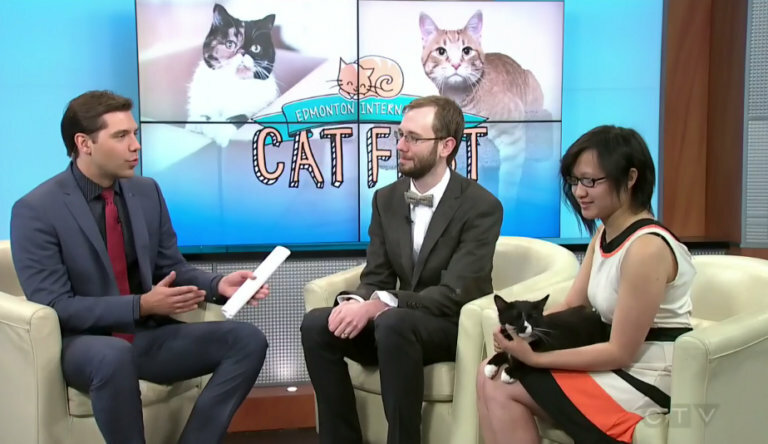 CTV Morning Live (Edmonton) – 2015 Cat Festival Interview! Schedule for May 30, 2015 Edmonton Intl Cat Festival! Renowned “cat whisperer” to do live Skype Q&A at Cat Festival! Edmonton Cat Festival on The Ryan Jespersen Show (630CHED)! Buy tickets to the 2nd Annual Edmonton International Cat Festival! techlifemag: Tips for organizing major events (including intl cat festivals)! Nearly $9,000 raised for the Edmonton Humane Society! Edmonton Cat Fest 2014 highlights video! Exclusive interviews (virtual appearances) with Nala, Cye & Lil BUB! PHOTOS: 2014 Edmonton International Cat Festival!